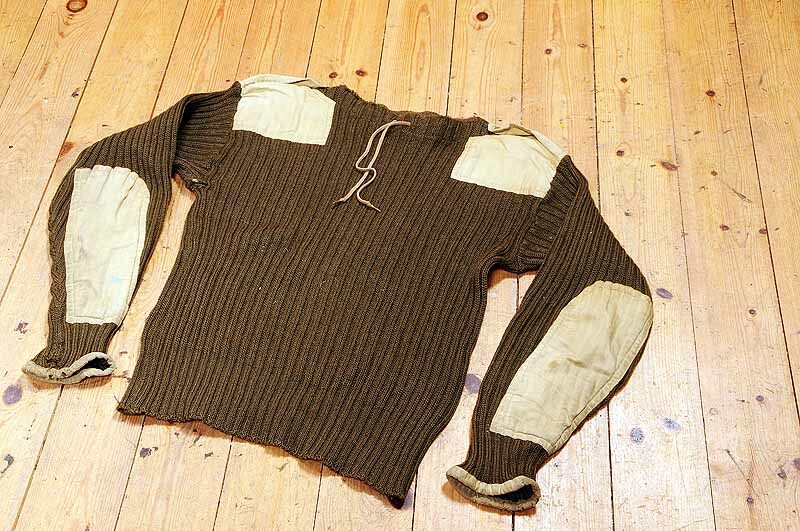 Military green jumper with cream epaulettes and elbow patches. 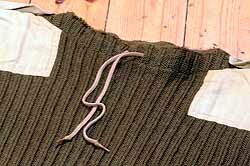 Cream cord round neck. 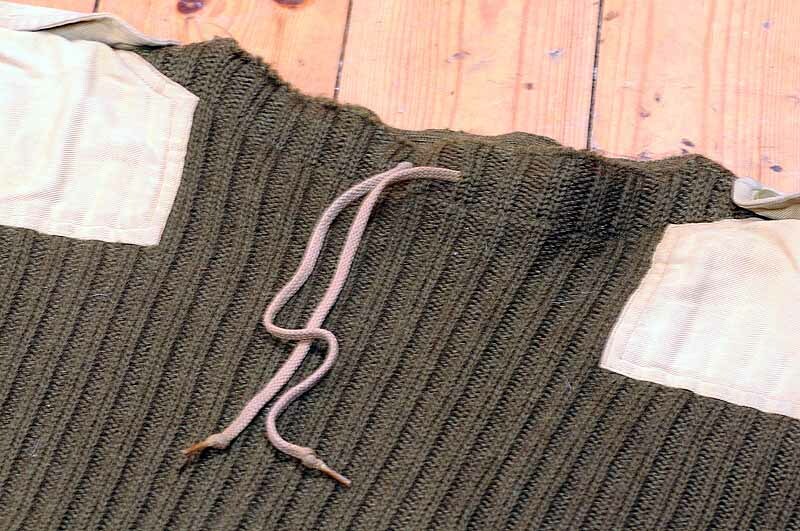 "PICK MADE IN ENGLAND SIZE 2 CM8405-99-975-9901 1967 ↑ "
There were loads of these military jumpers around in the 1980/90's but they seem to have become rather rare in 2013 so we thought it was time to get one in the collection. Though they are not a pure mountaineering item, mountaineers certainly used them and ex military gear was the fashion until the 'gucci' gear manufacturers captured the market. 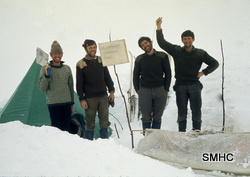 This one belonged to Mick Tighe and he probably acquired it when he was a young Royal Marine back in the 1970's. It was made back in 1967 by 'Pick' which could be short for Pick of the Bunch clothing down in Yorkshire. It was standard procedure back then to invite a reputable clothing company to make a batch of clothing and the numbers (noted above) on the label would be the contract and identification number. The arrow ↑ on the label is the standard military identification mark and dates back to the late 1700's when introduced by Earl Henry Sydney who was Master General of ordnance at the time.